It was another overtime game, and the Penguins had a great chance to take a commanding 3-0 series lead against the Sharks. 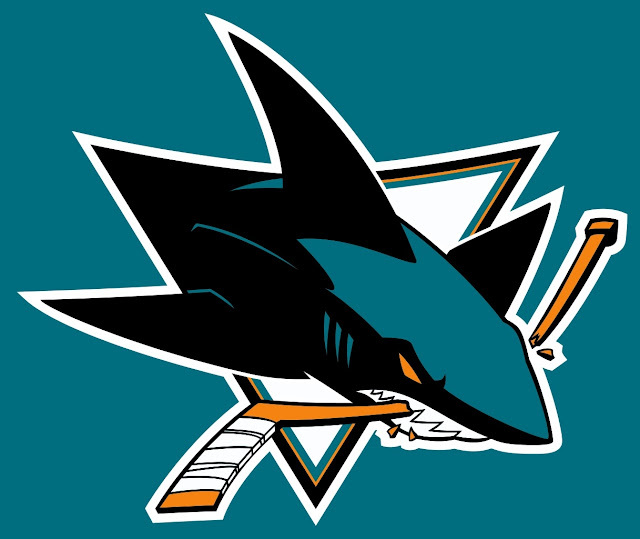 They'd again outshoot San Jose by a wide margin, this time 42-26, but unfortunately they weren't able to convert their chances and it was Joonas Donskoi getting the huge goal to give the Sharks the 3-2 win. Ben Lovejoy and Patric Hornqvist would score for the Pens, and Matt Murray would stop 23 of 26 shots against in what wasn't one of his best performances of the postseason. The Penguins would have some early jitters as they iced the puck twice in the first minute, but they'd soon settle down and start driving the play much like they did in the first two games. Minutes into the game, Joel Ward took a high sticking penalty on Conor Sheary to put the Pens on the power play, but they had a hard time setting up in the San Jose zone, and the Sharks killed it off easily. Martin Jones made a couple gaffes behind the net to start the game, and the second allowed Matt Cullen to pick up the turnover behind the net to keep the puck in the San Jose zone. The puck came out to Ben Lovejoy at the right point, and a fluttering shot the would ultimately bounce off Roman Polak's shin pad found its way behind Jones to make it 1-0 Penguins. However, the lead wouldn't last for long, as minutes later Justin Braun would settle down a puck at the blue line and fire a seemingly harmless shot on the net. However, it would appear that Murray was screened by Kris Letang right in the sight-line of the puck, and the Penguins netminder didn't react until the puck was already in the net behind him to tie the game 1-1. Moments later Phil Kessel restored the lead on a breakaway, but he wasn't able to wrist the shot past Jones. San Jose began driving the play following the Braun goal, and in the closing minutes they were getting some major pressure on a Penguin team that desperately needed to get to the intermission, and luckily for Pittsburgh they'd be able to get to the first intermission with the score still tied. And in the 2nd period, it'd be Matt Murray's turn to stonewall some heavy pressure coming his way. Brent Burns would get the puck in close off the left post, but Murray was able to stand tall and prevent the goal. Moments later, Sidney Crosby would get hauled down as he started to pull away on a breakaway, and Murray would make a nice left pad save on Joel Ward. Midway through the period, Kris Letang would mistime a pinch that allowed the Sharks a 2-on-1 rush, and Logan Couture nearly put San Jose ahead as he rang a shot off the post. Moments later, the Sharks got their first power play of the game when Carl Hagelin was sent off for tripping Melker Karlsson. Murray would make another great save on Burns, this time on a shot from the left circle after the Pittsburgh D lost track of him. Despite the great chance early on in the man advantage, San Jose didn't get much pressure after that and the Pens killed off the penalty. The Penguins have come up with some timely scoring late in the period this postseason, and they were able to get another goal in the last minute of the 2nd period, again off the stick of Lovejoy. With both Hornqvist and Sheary in front, Lovejoy wristed a puck into the traffic in front of Jones, and Hornqvist got his stick on the puck to deflect the puck past Jones to give Pittsburgh the 2-1 lead heading into the second intermission. The late goal put Pittsburgh in a great position, entering the final 20 minutes with a lead and a stellar track record when leading after two on the season. Nick Bonino would put that in jeopardy when a stick check on Joe Thornton rode up his stick and cut him under the eye. The double minor for high sticking would put the vaunted San Jose power play back on the ice. The Pens killed off the entire four minute disadvantage, and just when it seemed like they might ride the momentum of denying the Shark man advantage, they were facing a 3-on-2 coming back there way. And in a play Murray would certainly love to have back, Ward fired a shot from inside the blue line the somehow managed to find it's way under Murray's arm to tie the game 2-2 midway through the period. The two teams would see the play go back and forth between each team's zone, but in something that had been plaguing the teams the whole night, a bad sheet of ice led to a sloppy second half of the 3rd period, and neither would be able to have much success making controlled plays, and they'd play their second overtime in as many games. The overtime would start with a wild rush in front of the Penguin goal in the first minute of overtime, but Murray would be able to recover to smother the puck and get the whistle. As the overtime period progressed the Penguins began to tilt the ice further in their favor, but despite several great chances they weren't able to get the puck past Jones. And their inability to finish would come back to haunt them as Joonas Donskoi would curl up from the goal line and put the puck on net, deflecting its way over Murray's right shoulder to give the Sharks the 3-2 win.